Well, it’s not actually just the Great Yarn Giveaway- it’s a Fiber Giveaway, too. 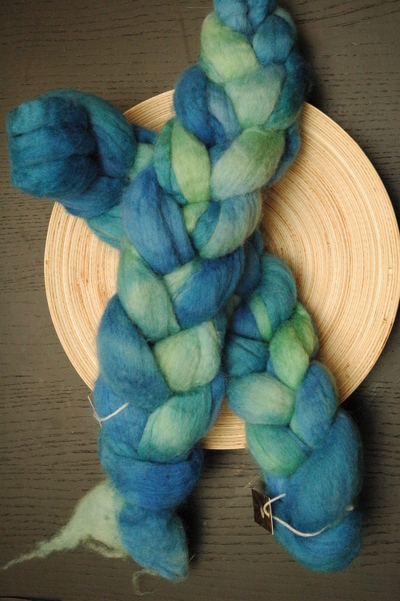 I have some lovely Serendipity Fibers roving- 4 ounces of Blue Faced Leicester. 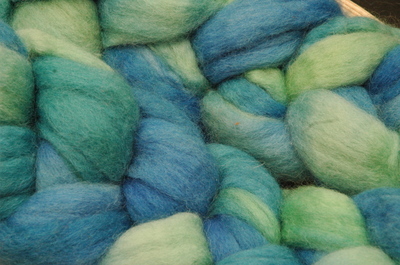 Blues, greens, very summery roving. Want some roving? I’m giving away one free 4 ounce braid of roving to a randomly selected commenter (I’ll use the random number generator again, because it’s clean and fun). Deadline for comments is Wednesday, 5 March 2008, at 12 eastern. Good luck! This roving is totally beautiful. How does BFL spin up? I’ve never tried it. Wow, that is stunning roving. The colors remind me of the Caribbean Sea. Is it enough to make a little Fate Interrupted for Lia?? Uh..I was cake was spelled kake. I love yarn too. That roving sure is purty!